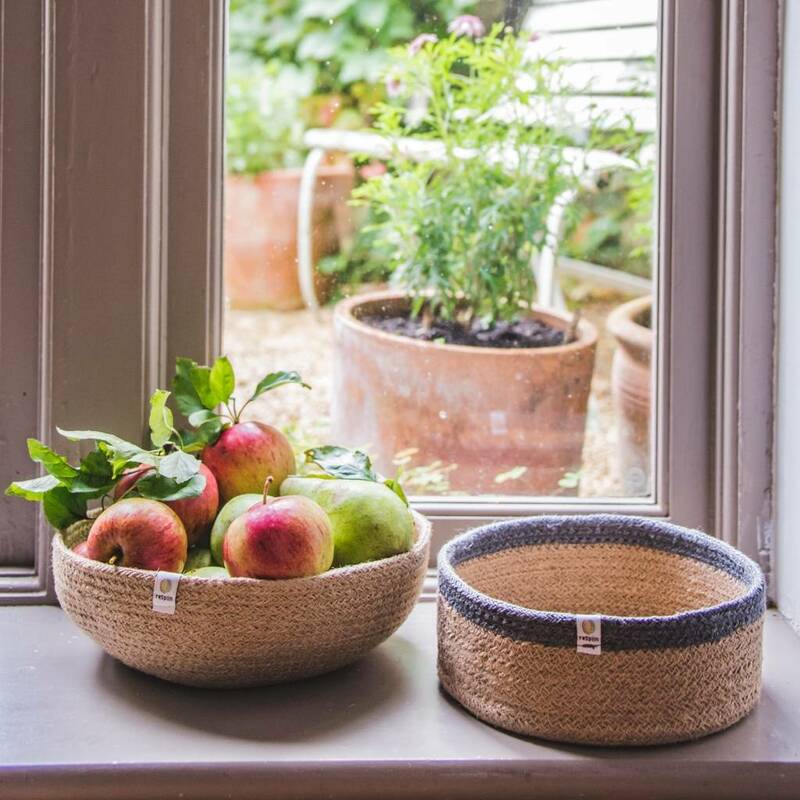 A stylish range of shallow storage baskets hand made from natural jute and seagrass, both renewable, sustainable and biodegradable materials. Jute plants are easy to grow, have a high yield per acre and, unlike cotton, have little need for pesticides and fertilisers. Jute grows during the rainy season in Bangladesh which is from June to October, and is ready to harvest in four to six months, after the flowers are shed. Seagrass grows very quickly in shallow saltwater along coastlines and rivers. Once mature, the grass is cut by hand and dried in the sun, then hand twisted and woven. Dried seagrass is durable and moisture resistant. The producer of the baskets in Bangladesh is committed to providing regular employment in a working environment that is safe and hygienic, and pays a living wage to all employees. 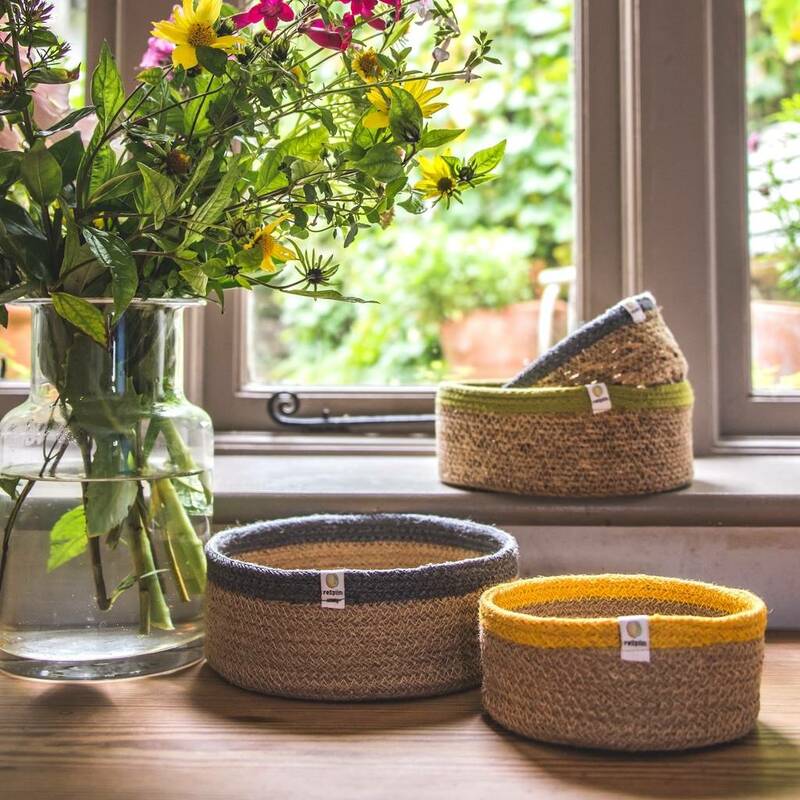 They have developed an innovative way of producing jute rope and stylish jute baskets which means that can produce a much higher return from the jute than when it is sold for basic jute sacks. 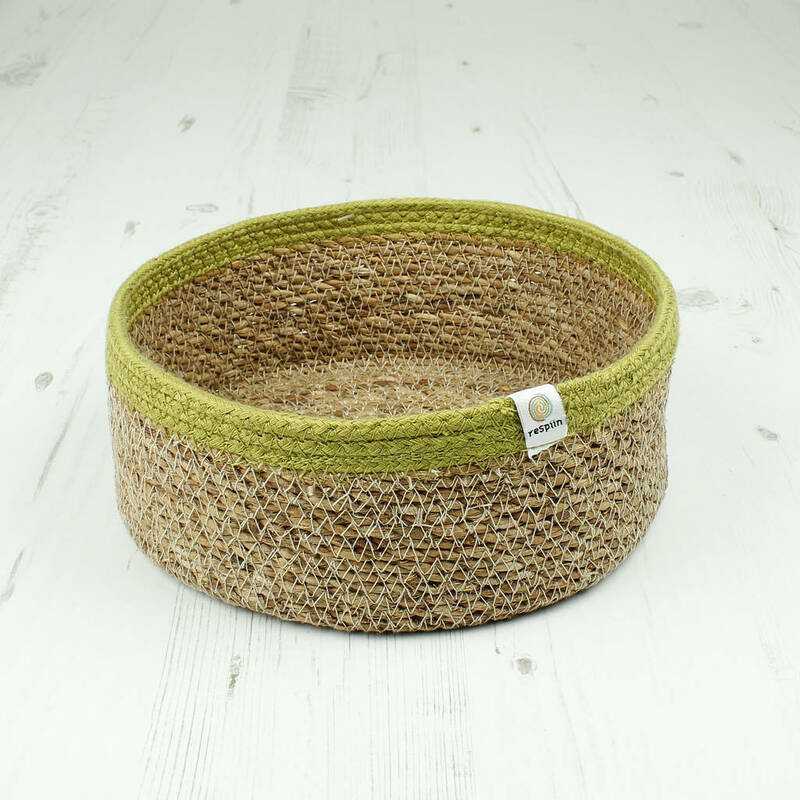 Small Jute Basket with Yellow Rim - Approximately 6cm high x 15cm diameter. 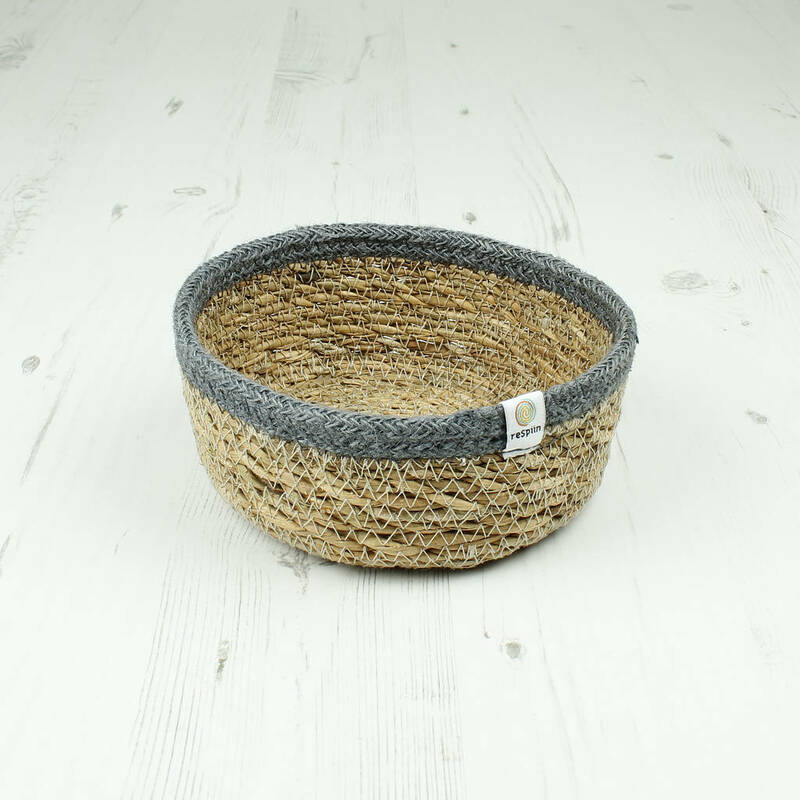 Medium Jute Basket with Grey Rim - Approximately 8.5cm high x 21cm diameter. 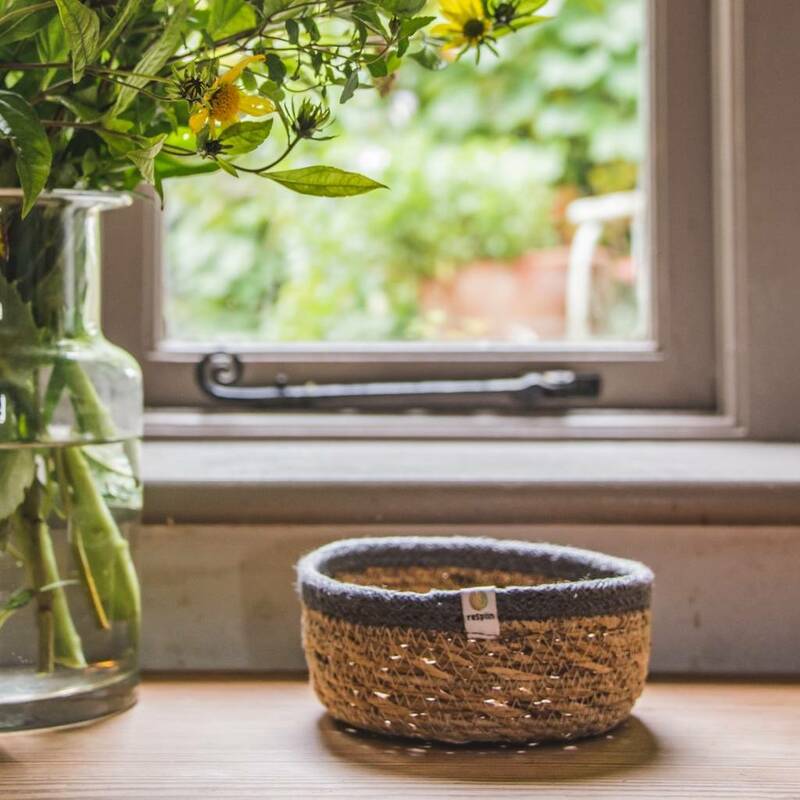 Small Seagrass Basket with Grey Jute Rim - Approximately 6cm high x 15cm diameter. Medium Seagrass Basket with Green Jute Rim - Approximately 7.5cm high x 21.5cm diameter. 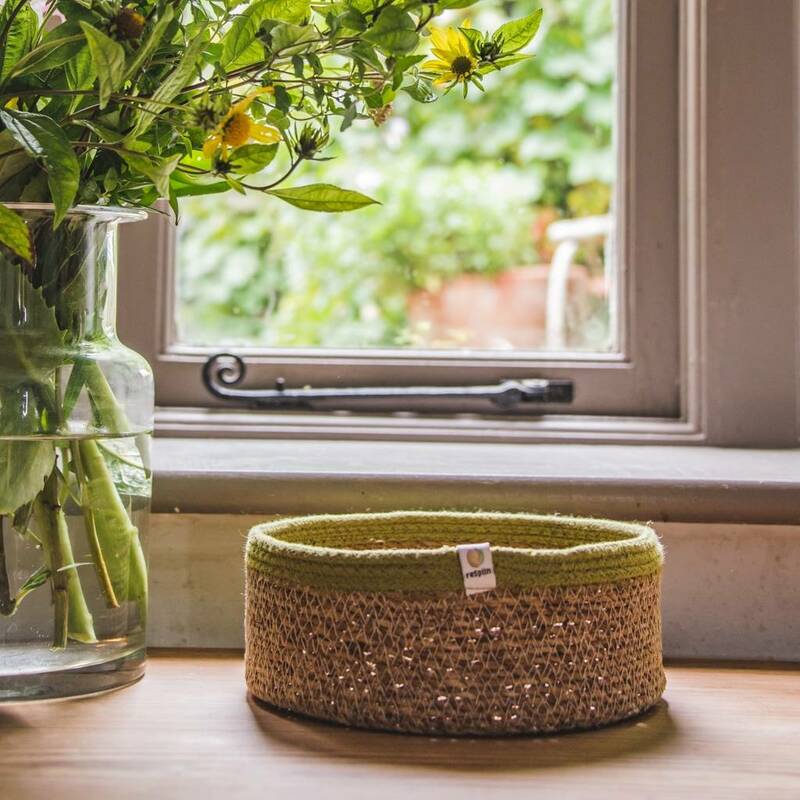 The jute baskets are made from both natural and coloured jute. The coloured jute is 100% Azo free. 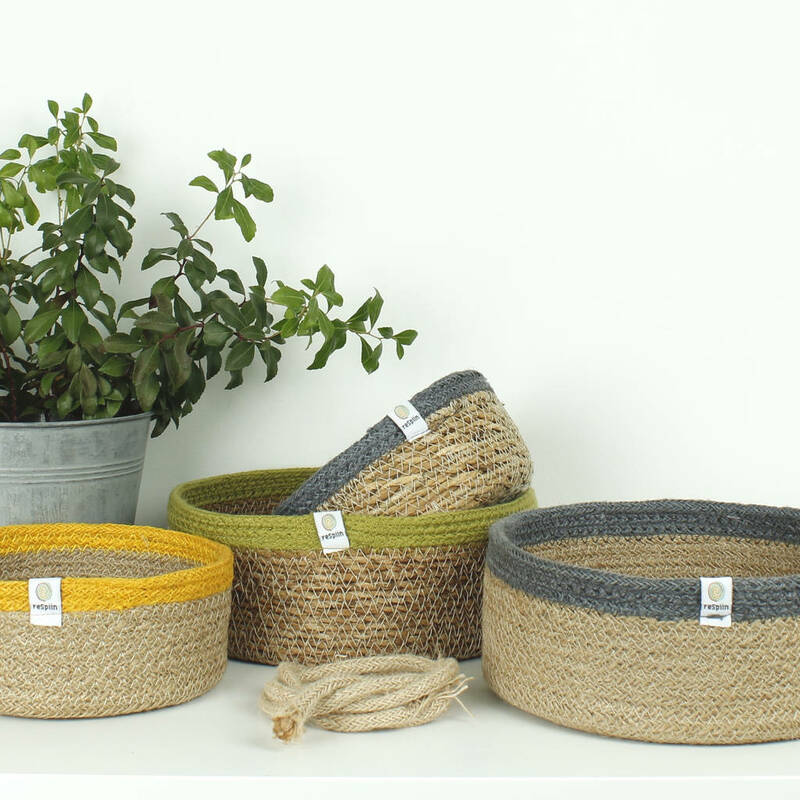 The seagrass baskets have coloured jute rims, as above. All baskets are wipe clean only. 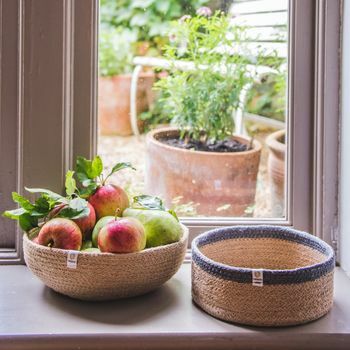 The jute baskets are not suitable for use in very damp environments. 2 sizes available. Please see description above. Each basket is sold separately. This product is dispatched to you by green tulip ethical living.